Specializing in residential and commercial air conditioning repair, Tweedy’s Heating and Air is committed to keeping our clients in the Charleston, Surfside Beach, & Georgetown, SC area cool. No matter what malfunction or how old your system is, we’ll do our best to repair it in a quick and cost-effective fashion. Air Conditioning Repair You Can Count On! At Tweedy’s Heating and Air, we’ll work to keep your air conditioning system running at full capacity. No job is too big or small, and we strive for 100% customer satisfaction on every project. 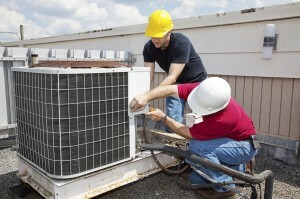 If you suspect your AC unit may be in need of repairs, do not hesitate to call. Our team of AC repair contractors is standing by to fix your AC unit today! Contact us to schedule an appointment.